Make the perfect gift for Mother's Day! 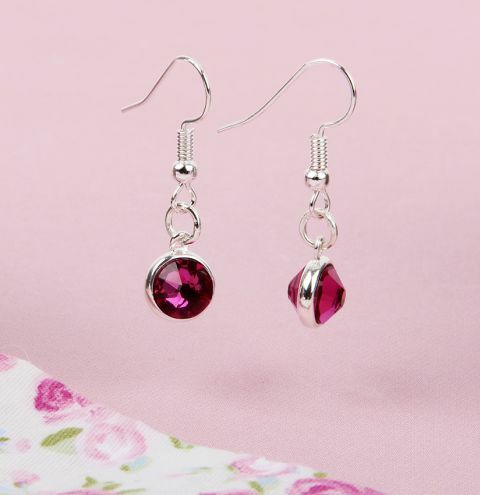 Use Swarovski crystal flat backs to make a double sided pair of earrings with a 3D effect! Apply a thin layer of glue to the settings and set your crystals into place. Allow to dry for up to 24 hours. Use your flat nose pliers to carefully twist the direct of the earwire loop 90 degrees. Now open the loop and attach your crystal settings to it.